“Jack fell down and Broke his Crown, and Jill came tumbling after”. The lines from a rhyme that most of us chanted during childhood, but now that I look back, Jack must have been severely injured, and Jill too, considering the fact that both tumbled down the hill. Which brings us to the crucial question, was safety being ignored here? And while we all casually laughed off at the prospect of two kids rolling down the hill, safety is a crucial aspect when it comes to industries, that too ones that work with heavy machinery and hazardous tools. But, talking about safety may not be an interesting prospect (probably would sound like constant nagging at times), and the safety manuals too bulky to handle. And this indirectly calls for new approaches to training that are engaging, innovative and learner-centric. 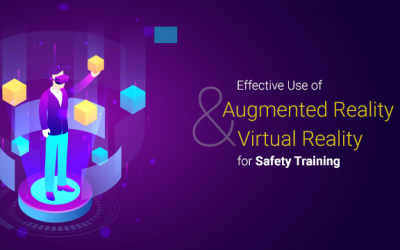 A few months back we discussed about how virtual reality can be used to deliver safety training with improved engagement. Apart from VR, serious games too are now becoming a part of the training curriculum. According to a research publication, “Serious games have been applied in a broad spectrum of application areas, e.g. military, government, educational, corporate, and healthcare (Backlund et al.,2007a)”. 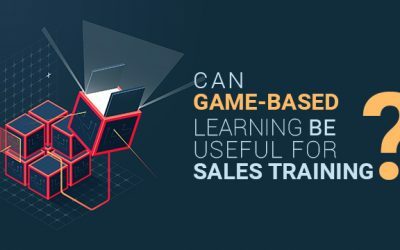 However, the use of serious games for training is quite limited, for greater subject matter inclusion, gamification comes in as an ideal solution. Gamification is nothing but the application of game-design principles to non-game experiences in order to make them more fun and engaging. In our post titled- How Gamification in eLearning can Help to Improve Adoption with Learners, we discussed about the general benefits of gamification that makes it a popular choice. 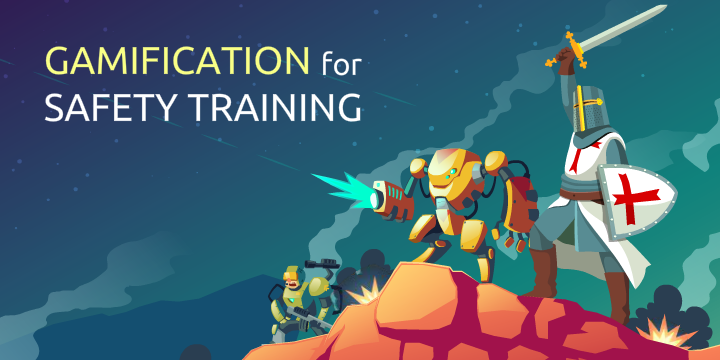 Safety training can be gamified by adding simple elements like scores, rewards, or by complex level based upgrades, branched scenarios, aesthetics, story, conflict, chance, and strategy and more or other game design techniques and game elements that provide learners the arena to solve problems and stay engaged. Gamification for safety training should revolve around human motivations and engagement. Seeking inspiration from serious games would be a start. Using avatars and role playing can hence be the start to delivering safety training. But, gamification doesn’t essentially have to use mini games everywhere, even the loop of small rewards, interspersed with positive feedbacks, additional challenges etc. can keep people engaged in repetitive and fundamentally boring tasks. Simple games can be used to deliver assistance in identifying safety tools and precautions, whilst gamification can be used to allow the learners to go to the next level by finishing a simple quiz, adding points and badges too, hence allowing them to view their progress and compare themselves with others on the leaderboard. Apps and interactives can be used to deliver complex topics like Hazard Prevention. Safety drills through VR can be efficient in precision training too. Moving from individual topics, in a more holistic level a unified system with learner dashboard, analytics etc. can benefit the organization as a whole, allowing learners to learn, inspired by other. Points and rewards acting as the catalysts for the same. From discounts to gift vouchers to additional training options, the rewards can have any tangible form depending on the learner’s profile. In addition, there are simple mini-games that can be used to fill in the gaps during downtime (something like the T-Rex game on Mozilla), to keep learners engaged. Multi-player games can be used too to train the users to react swiftly to external stimuli, to master coordination and puzzles for mental stimulation etc. that are crucial in safety training. Gamification of safety training can actively engage the learners/trainees in many different and active ways. Utilizing the mechanics of fitness tracking and such, the learners can also be pushed into physical activities. This engagement can be sustained by using interesting and motivating visuals, competition and collaboration among users, and a reward system that is hinged on tasks/challenge completion. With many learning games already available on the web, the safety training gamification strategy can utilize it to make it interesting. Take for instance the Harness Hero, a game that aspires to teach the users about the key decisions of using a fall arrest system and has been garnering quite some attention in the safety training sector. The game is created by Simcoach Games, a project out of Carnegie Mellon University’s Entertainment Technology Center. The Texas A&M University’s Leaning Interactive Visualization Experience (LIVE) Lab, has been employing arts and sciences graduate and undergraduate students to research and develop educational experiences for schools, corporations, governments and nonprofits and has already developed many safety-related games that employers can use for training purposes, including hazard identification training and electrical safety simulations. The increase in research ventures of these kinds also point at the increasing importance of gamification and the benefits it brings. In case of safety training gamification, the courses can allow the learners to understand the safety guidelines, test themselves on their real life-saving techniques depending on the real scenarios presented to them, without the risk of bodily harm. They can also practice again and again until they master the safety actions. Add the power of VR to it, and the process would have an increased impact and almost deliver a real-like experience too. 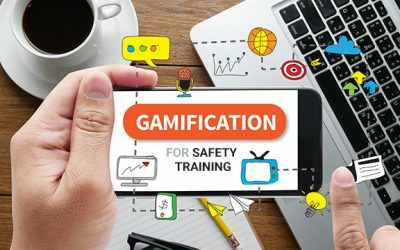 According to MarketsandMarkets, “Gamification Market will be worth 11.10 Billion USD by 2020.” As enticing as the prospect sounds, like any other training model, Gamification of safety training should help in reducing accidents that could result in injury, death, employer liability, and in general time and money. Hence, while the focus on engagement stays, gamification strategy should focus on helping the learners to stay compliant, achieve their goals of performing good work without injury. After all, as they rightly say, “Safety comes First”.